Visit the Patriots' official website for your daily fix of team information. Josh Gordon will be back with the Patriots, if or when he is reinstated from his indefinite suspension. The banned receiver signed his restricted tender with New England on Tuesday. The Patriots and safety Patrick Chung have agreed to a one-year extension through the 2021 season. Chung has spent nine of his 10 NFL seasons in New England, winning three Super Bowls. In need of help at the tight end position, the Patriots signed Austin Seferian-Jenkins to a one-year contract, NFL Network Insider Ian Rapoport reports. Are the Patriots looking for the heir apparent? Duke's Daniel Jones and West Virginia's Will Grier are visiting with New England, NFL Network's Ian Rapoport reports. Tom Brady is now on Twitter. The six-time Super Bowl champion used his first tweet to troll football fans everywhere on April Fool's Day. The Greg Schiano era in Foxborough didn't last long. 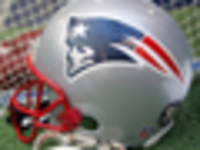 Schiano announced on Thursday afternoon that he was stepping down from his role on the New England Patriots' coaching staff. A former All-Pro linebacker for the Patriots, Jerod Mayo will rejoin New England as an assistant coach looking to carry over his reputation as a hard worker to the coaching staff. Not 24 hours removed from Rob Gronkowski announcing his retirement on Instagram, the future Hall of Fame tight end?s agent Drew Rosenhaus was already stoking the fires of a possible comeback. Rob Gronkowski is walking away from football. The New England Patriots tight end announced on Instagram on Sunday that he is retiring from the NFL after nine seasons. One of the star players that lead the New England Patriots to an epic come-from-behind Super Bowl victory over the Atlanta Falcons has announced his retirement. Malcolm Mitchell spoke at an event at the University of Georgia. 4/23 Josh Gordon (WR) No Offer Sheet Executed (no offer sheet executed). 4/16 Demaryius Thomas (WR) Free Agent Signing (free agent signing). 4/16 Jonathan Jones (DB) No Offer Sheet Executed (no offer sheet executed). 4/10 Stephen Gostkowski (K) Unrestricted Free Agent Signing (unrestricted free agent signing).